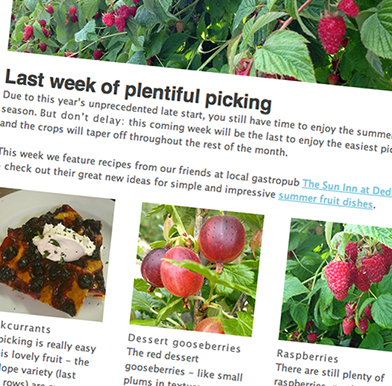 Sign up to our free newsletter to get the latest crop updates, recipes, and farm shop deliciousness. You won’t miss a berry! Subscribe to the email news – we’ll never share your email address with anyone else.